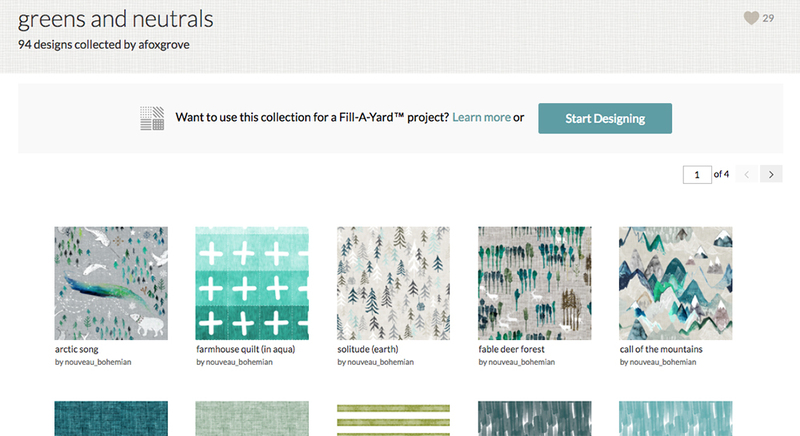 Start creating your Fill-A-ProjectTM napkin set by first logging into your Spoonflower account to create a design Collection of your choosing or shop from curated themes. I’ve chosen the ‘greens and neutral‘ Collection for my napkin set. Once you’ve decided on your own Collection, click the Start Designing button above. Next, choose the ‘Dinner Napkins‘ template. After you’ve chosen, you may have to scroll back up to select the fabric. 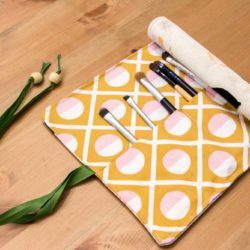 Fill-A-ProjectTM Dinner Napkins are available on Spoonflower’s Organic Cotton Sateen Ultra, which makes for soft and elegant napkins. This fabric also has a soft sheen, perfect for adding that polished touch to your table setting! Now you’re ready to have some fun! 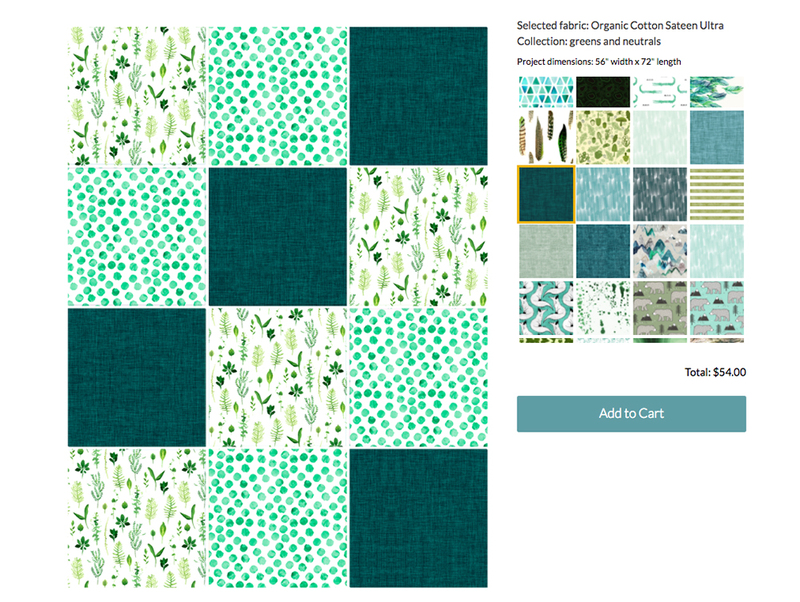 The grey boxes on the left represent your napkin set (we call this your design canvas), the small thumbnails on the right are the designs from the Collection you’ve chosen. I’m mixing and matching three different coordinating design patterns for my napkin set. You can chose anything your heart desires for your napkin set, even up to 12 different designs (one for each napkin) if you’d like! 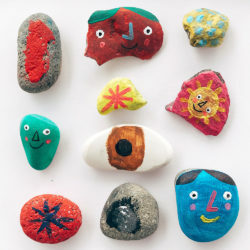 Click to select a design from your collection. 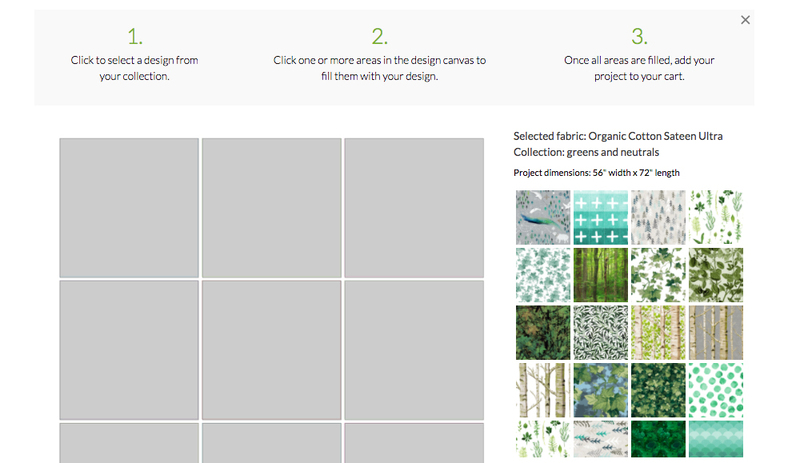 Click one or more areas in the design canvas to fill them with your design. 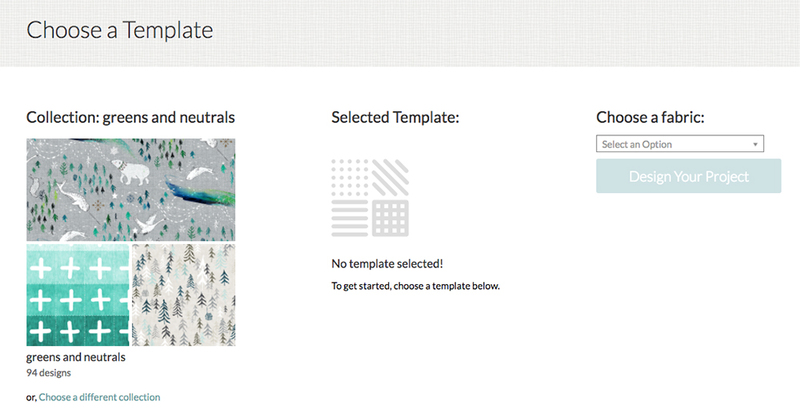 Once all areas are filled, add your project to your cart. I’m all done and ready to add my napkin set to my cart! It may take a few seconds of processing time, but don’t refresh your page! You’ll get a confirmation like the one above once your Fill-A-ProjectTM Napkin Set has been added to your cart. That’s it! Once your order arrives, you will want to cut out all twelve napkins before sewing. This template is designed to give you twelve 17″x17″ napkins factoring in a 1/2″ seam allowance which results in finished napkins that are 16″x16″ when sewn. 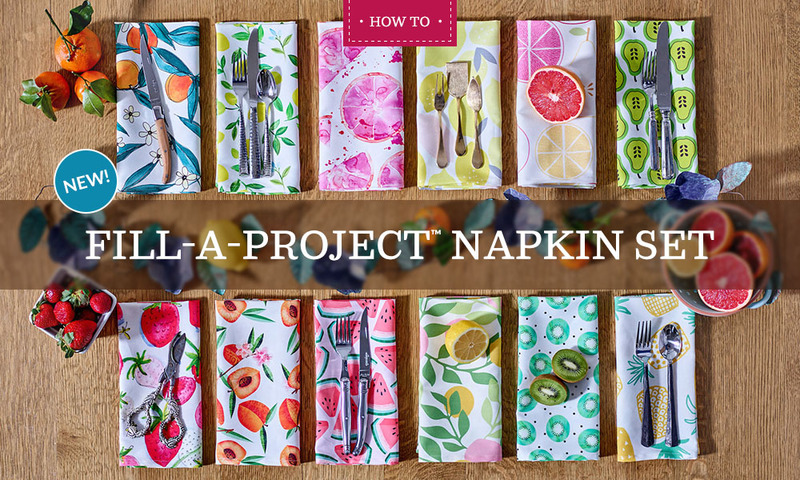 There are several ways to complete your napkins depending on the look you want. 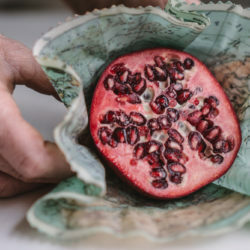 It can be as easy as pinking or serging the the edges of your napkins and calling it a day, or you can have a more finished look by creating mitered corners. Either route you take, you’re all set for picnics, solo lunches or dinner parties with your gorgeous new napkin set! 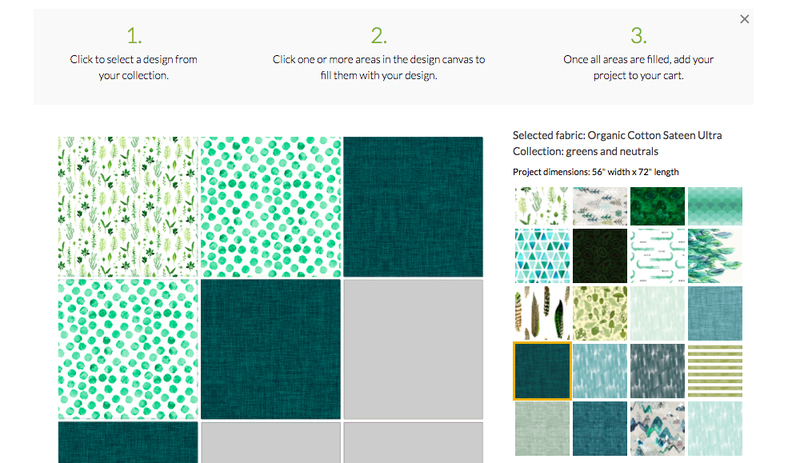 We’d love to see how your Spoonflower napkins turn out! 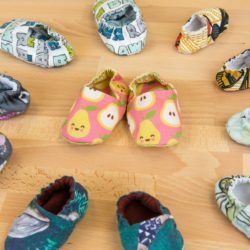 Show us your makes with #spoonflower on social media.